Ah spring. They started ripping out the concrete patio today. Getting ready for the covered patio with pavers. NICE! I want to see the pictures when done! Nice! I bet the violet and yellow are stunning together. 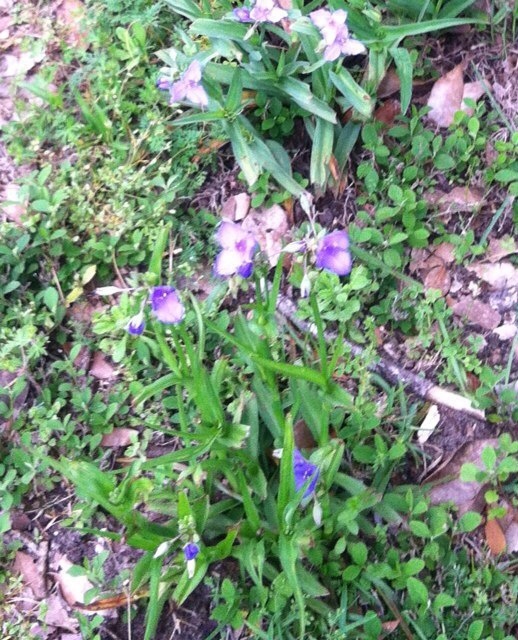 My violets here are just beginning to come up.Many consider them weeds, but I love them. Hope is where you find it. Yes, it is, Shay and I hope its arrived for you in ohio. You need some spring.